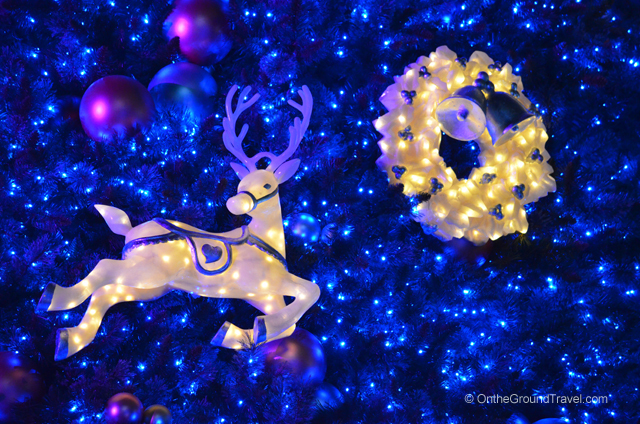 Few other cities celebrate Christmas like Hong Kong does. 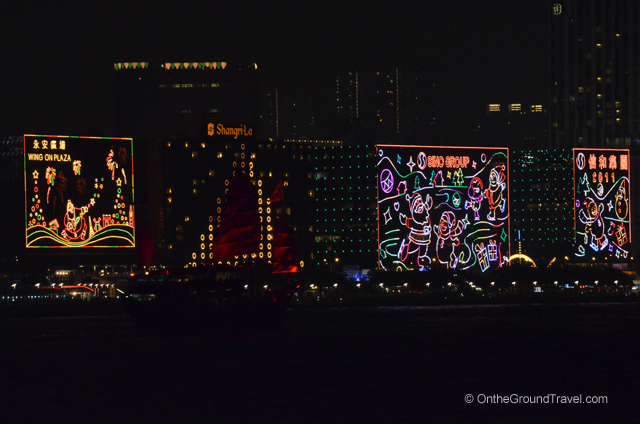 Every year around Christmas time, buildings on both sides of the Victoria Harbor are lit up with Christmas lights. 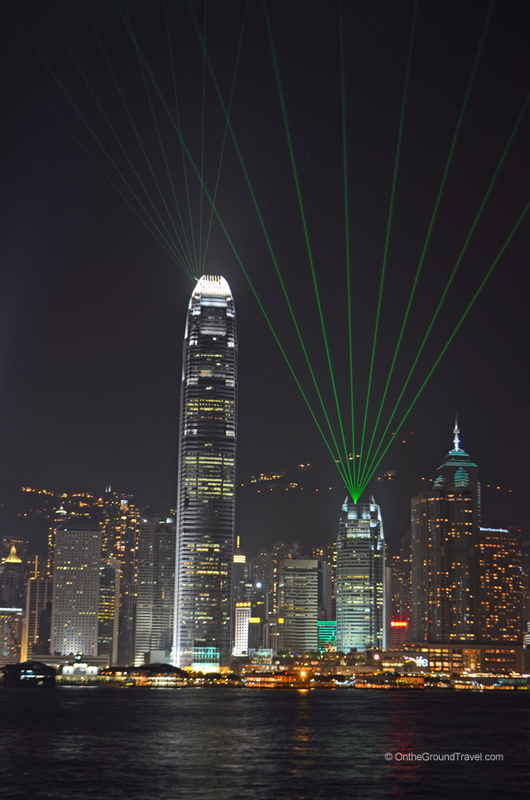 The nightly Symphony of Lights performance is particularly attractive around this festive time when laser beams dance around the city, energized by the holiday lights. The light and music show starts at 8pm but it only lasts about 10 minutes so it’s essential to be at the harbor or other viewing points in advance or risk missing the show. 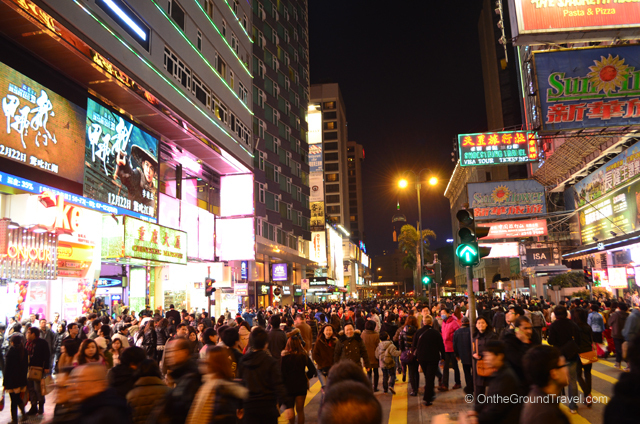 While people in other countries typically spend time with their families indoors on Christmas Eve, Hong Kong people take to the streets to watch the lights, shop, have dinner, and Sui Yeh (another meal after dinner) on that day. 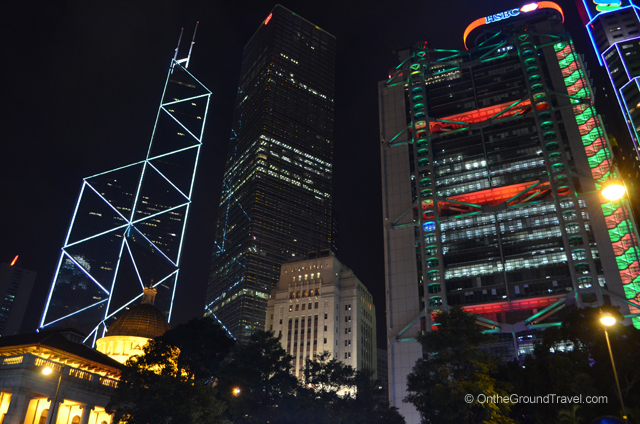 Yesterday, we decided to participate in this Hong Kong tradition of viewing the festive lights on Christmas Eve. 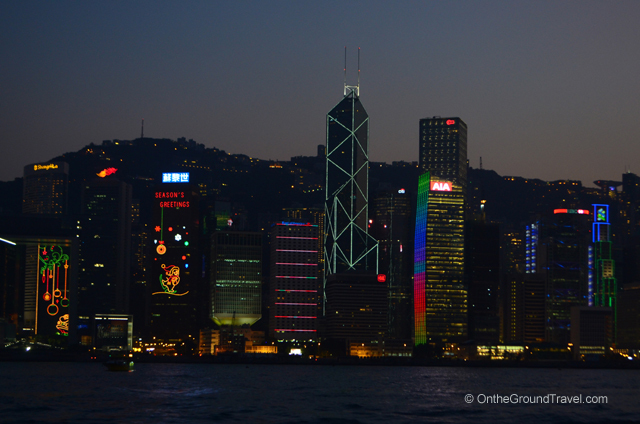 We boarded the Star Ferry from Wanchai to Tsim Sha Tsui (TST) in early evening. 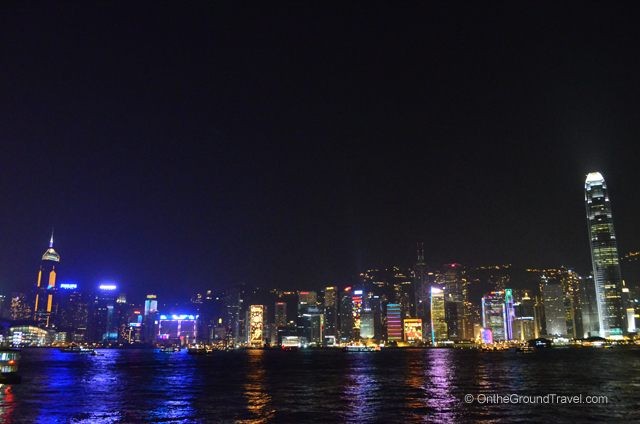 The lighting was perfect for pictures around this time, and we were able to get a few good shots of the Hong Kong skyline from the ferry. We arrived at TST around 6pm, and the Harbor was already packed with crowds jostling for the best position to watch the Symphony of Lights performance at 8pm. We had dinner as quickly as we could (almost all restaurants had queues stretching out the door!). Fortunately, we still had time after dinner so we went to Ocean Center to window shop. We then joined the crowd of tourists, locals, families and photographers (many equipped with tripods) to watch and photograph the Symphony of Lights. From there we went along Salisbury Road and Nathan Road with the rest of the crowd to see the area Christmas Lights. The roads were closed to traffic to accommodate the thousands of people in the area. Despite the large crowd, everyone progressed in a civilized and orderly fashion. Around midnight, we headed back home via MTR. 3) If the harbor front area is packed and you find yourself looking for a quiet spot to take some pictures of the Harbor, try heading to the top level of the parking garage inside the Ocean Center. It’s outdoors, the crowd is minimal, and the views are just as good. 4) Be prepared for road closures and traffic detours on Christmas Eve. But don’t worry, the crowd is orderly, traffic signs are in English, and you should not have a problem finding someone who speak English to help you. 5) If taking the MTR, insure you have enough money loaded on your MTR ticket or Octupus card for your return trip. The metro stations in the area will be packed and you will have to wait in long lines to recharge your card or ticket. Glad you liked our site! Thanks for fixing my Nikon camera. Now I can take pictures again without worrying about the battery falling out! Greetings! This is my first comment here so I just wanetd to give a quick shout out and say I really enjoy reading through your articles. Can you suggest any other blogs/websites/forums that cover the same topics? Thank you!